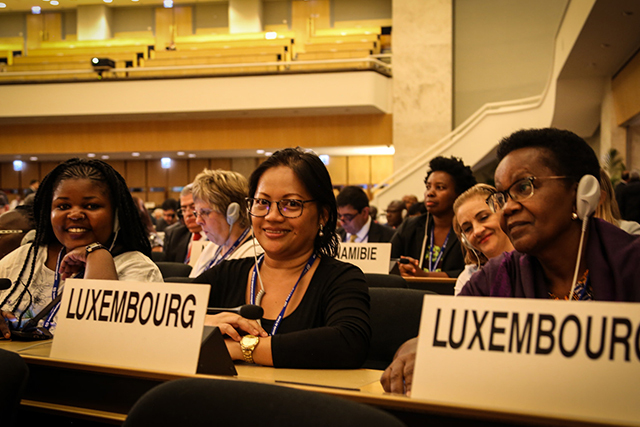 Employers, states and workers are gathered in Geneva for the 107th Session of the International Labour Conference. 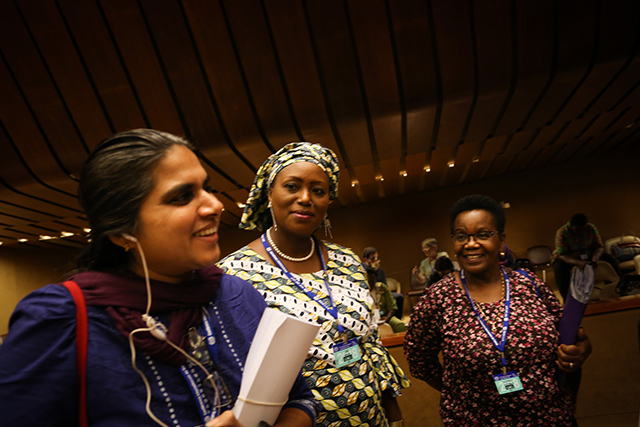 On the menu, the negotiation of a new international convention to protect women and men from violence and harassment in their workplace. 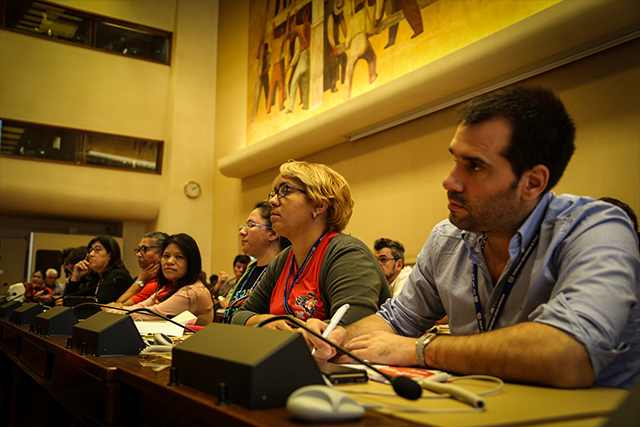 Negotiations are difficult, as employers do not want a mandatory instrument, as they have shown this morning in the debates held in committee. 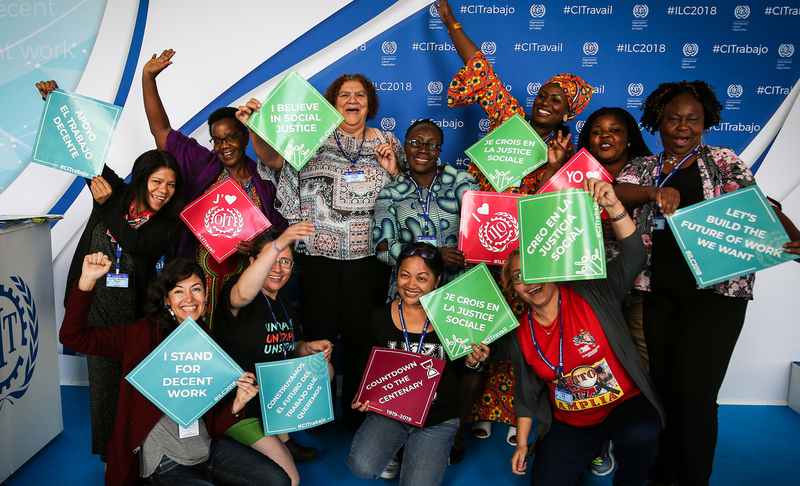 our partners and allies in unity and solidarity. 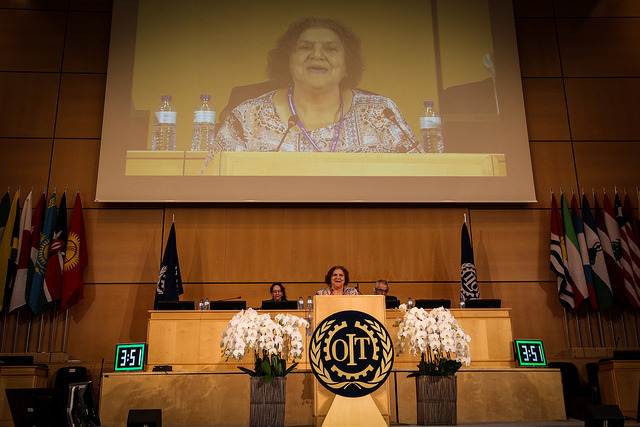 On May 31 our leaders took the stage at the plenary session delivering compelling and strong speeches that reminded to policy makers about the pains and experiences of millions of workers in the domestic sector, street vendors, waste pickers and home-based workers. 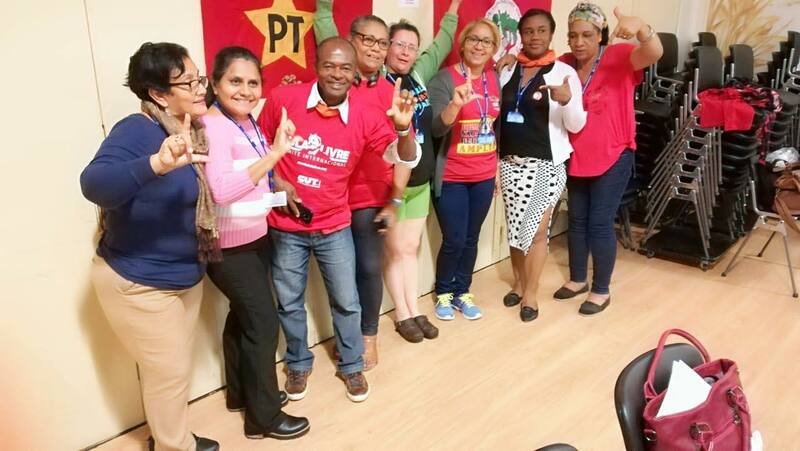 Also our Latin American delegation of domestic workers leaders represented IDWF at the CSA meeting bringing. 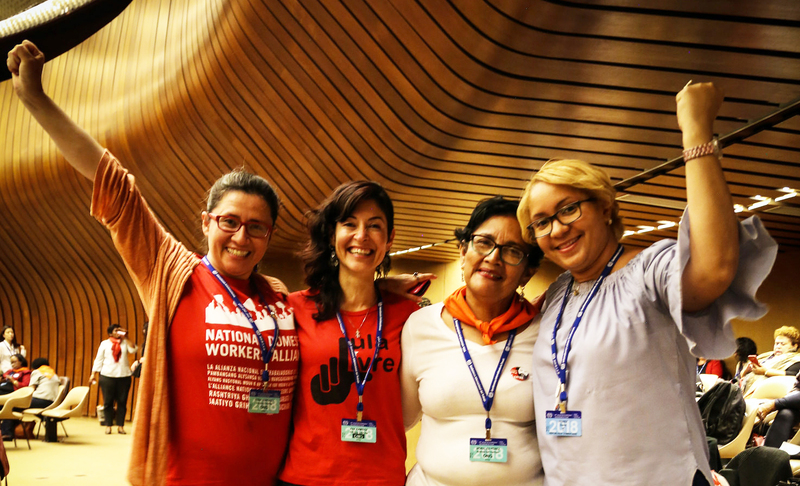 Marcelina Bautista brought the voices of domestic workers into the big house of labour. 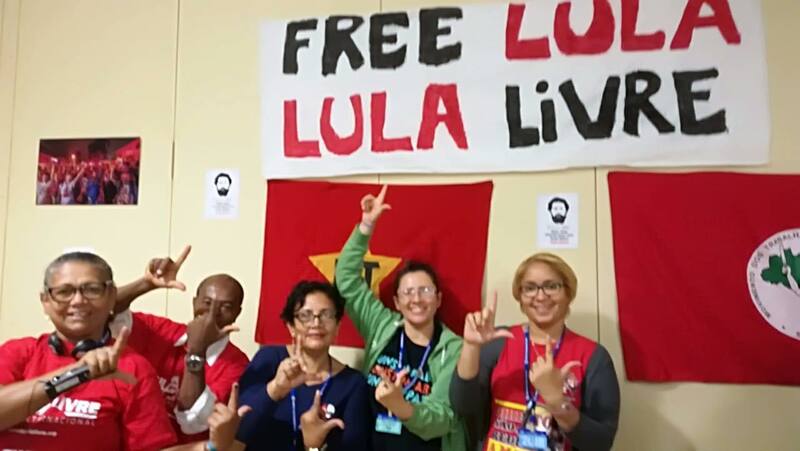 Our Latin American delegation also participated in a solidarity event with former president and workers leaders in Brazil Lula da Silva.